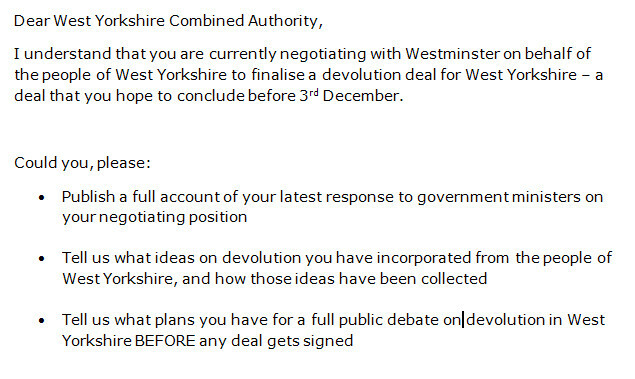 Dear West Yorks Combined Authority, can you please tell us what’s going on with OUR devolution? Given the secrecy and lack of democratic accountability that’s emerging over the deal being struck with Westminster over devolution for West Yorkshire, I thought I’d write an open letter to the people who are negotiating the deal ON OUR BEHALF. You may not have heard of them. 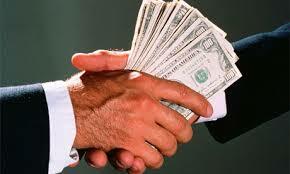 They’re called the West Yorkshire Combined Authority. This entry was posted in Uncategorized and tagged devolution, west yorkshire combined authority. Bookmark the permalink. 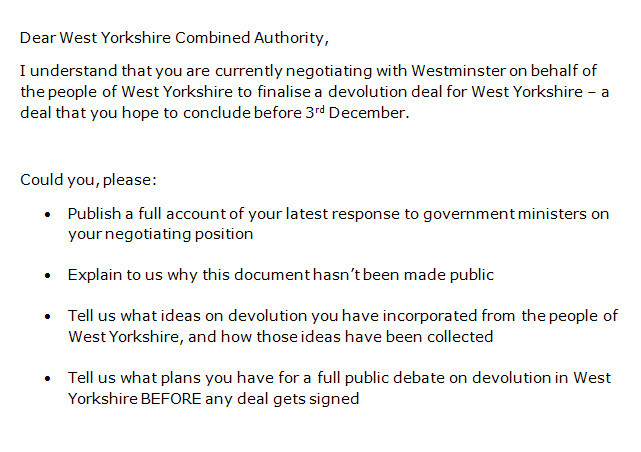 3 Responses to Dear West Yorks Combined Authority, can you please tell us what’s going on with OUR devolution? To whom should we send this letter? What is the best address, postal or digital?